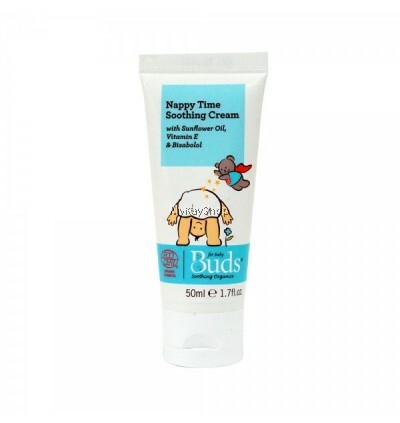 Previously known as "Nappy Rash Rescue Cream"
Nappy Time Soothing Cream soothes the baby's delicate bottom. The cream helps in protecting and strengthening baby's skin with prebiotic Glucose-oligosaccharide. 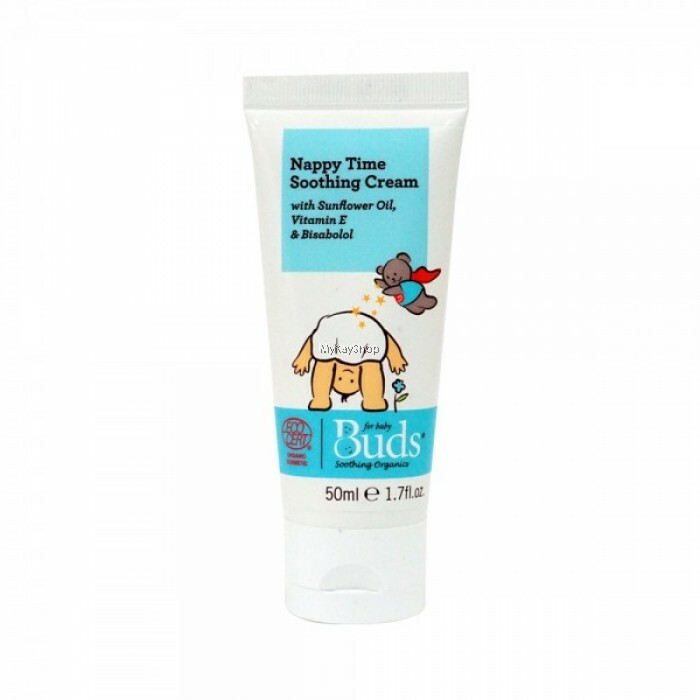 Packed with ingredients like soothing Shiso extract & Bisabolol, recovery boosting Spent Grain Wax, hydrating Aloe vera, antioxidant rich Olive Leaf extract, this cream will calm the discomfort of baby's skin in no time. Extra Jojoba, Sunflower, Olive and Inca inchi oils moisturise and create an effective barrier to protect the baby's bottom from irritants and harmful intruders. Apply an ample layer onto baby's nappy area at each nappy change. Don't forget to apply between the folds of skin, where it is often most severe. "Aloe barbadensis leaf juice*, simmondsia chinensis (jojoba) oil*, olea europaea (olive) oil*, sesamum indicum (sesame) seed oil*, helianthus annuus (sunflower) seed oil, cera alba (beeswax)*, polygiyceryl-4 diisostearate/polyhydroxy-stearate/sebacate, caprylic/capric triglyceride, spent grain wax, argania spinosa kernel oil, butyrospermum parkii (shea butter) extract, plukenetia volubilis seed oil*, inulin, alpha-glucan oligosaccharide, bisabolol, tocopherol, perilla ocumoides leaf extract, fructan, olea europaea (olive) leaf extract, pelargonium graveolens (geranium) oil*, parfum/perfume, glyceryl undecylenate, phytic acid, citral**, citronellol**, geraniol**, linalool*.